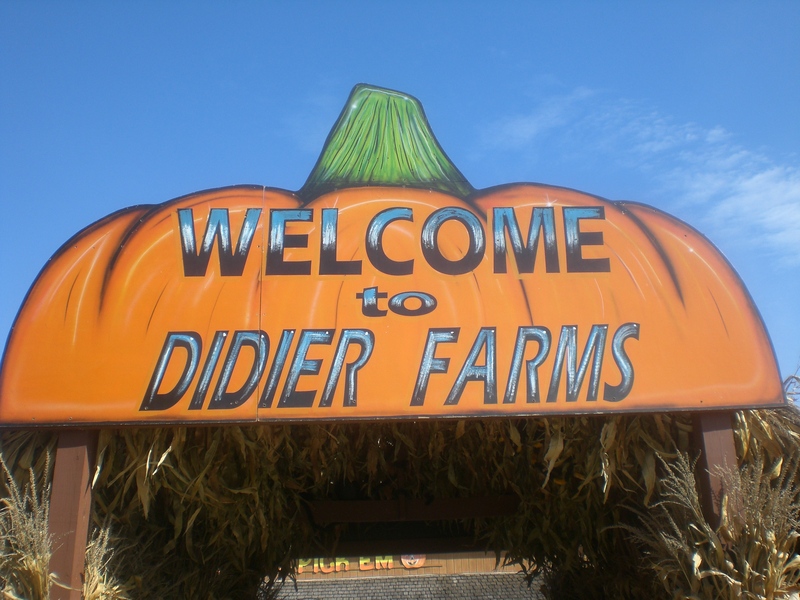 Excited yelps of, “Mom, look at the doggies!” filled the air as I approached the Orphans of the Storm® tent at Didier Farm’s Pumpkinfest in Buffalo Grove. Four dogs, three kittens, and a handful of volunteers were there to bring some publicity to the shelter and hopefully encourage some adoptions. Although you aren’t able to adopt at this off-site event, you can always visit the shelter the next day to get better acquainted with your pooch and bring him home. 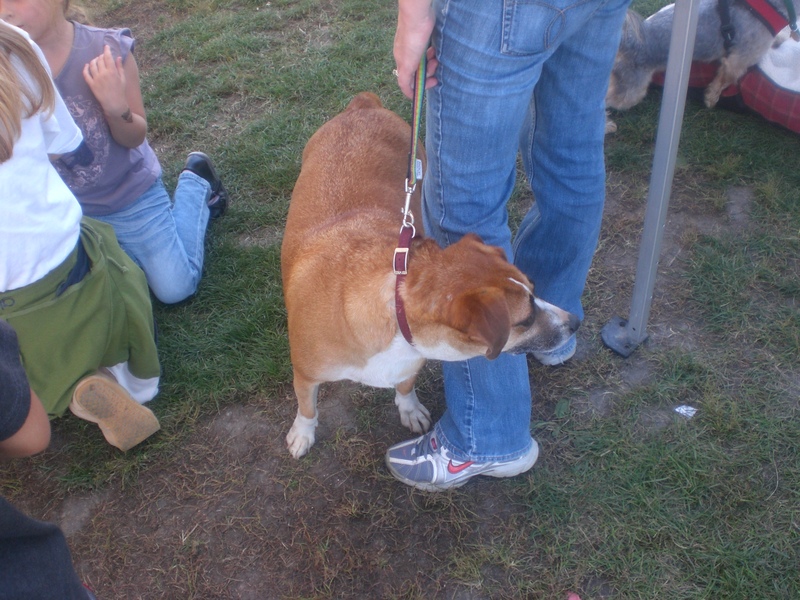 The first dog I met was Tulip, a six-year-old Beagle/Shepherd mix. 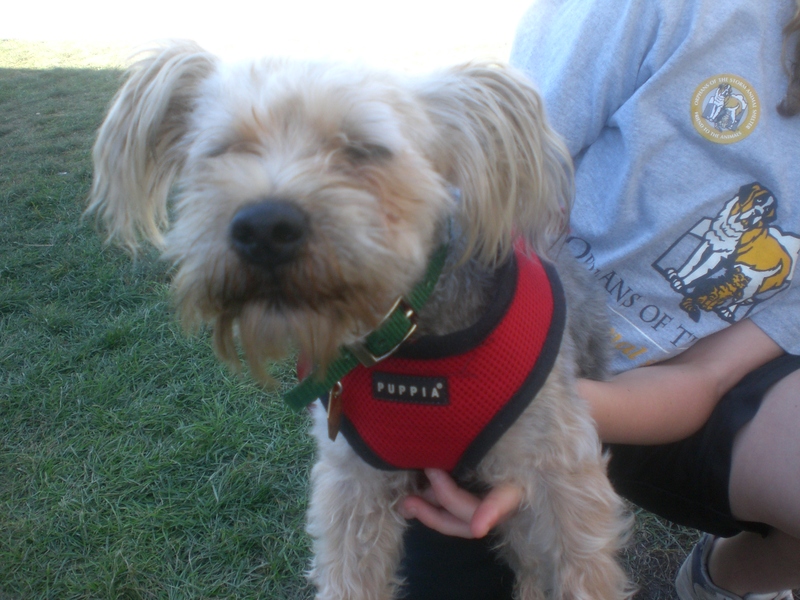 The volunteer at the other end of the leash told me that Tulip is a sweet, calm dog who loves to go for walks. Tulip is currently on a diet because she’s a little rotund, so a healthy home with some good walkers would be a nice fit. If you don’t want a dog that will jump all over you and lick your face at every available chance, Tulip is the right dog for you. All she wants is good companionship; she’ll be happy to lie down at your feet as you read a book or watch TV. 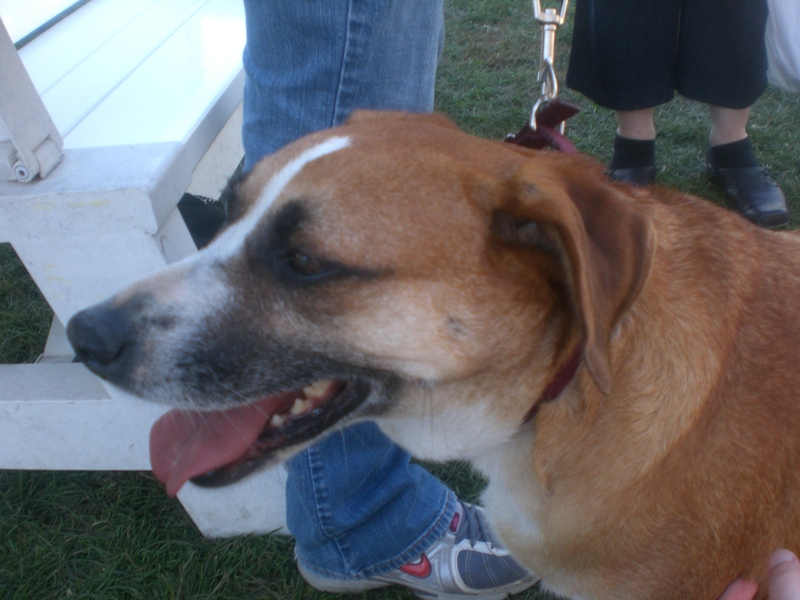 Next was Eddie, the Mountain Cur who will be turning one year old in just a few weeks. Eddie is currently in a foster home because he arrived at the shelter in May with a broken foot and needed some extra TLC. He’s all healed now, thankfully! This guy is still in his puppy phase and enjoys nibbling on his leash, but the breed is known to be easily trainable. He already knows a few commands and was pleased to show off how to “sit” for those saying hello to him. 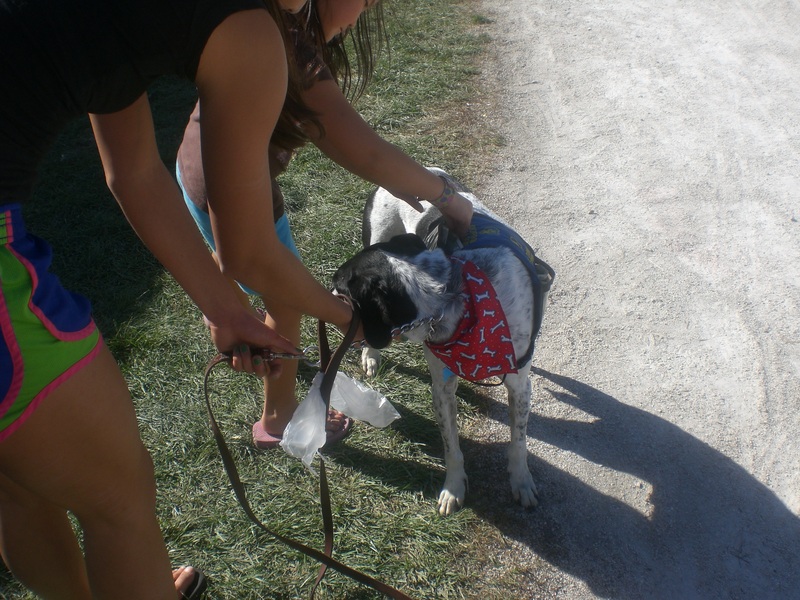 Howser is an eight-year-old Pointer mix who was very popular with visitors to the tent because of his calm demeanor. When I knelt down to say hello, he put his nose right up to mine and was happy to have his head scratched. 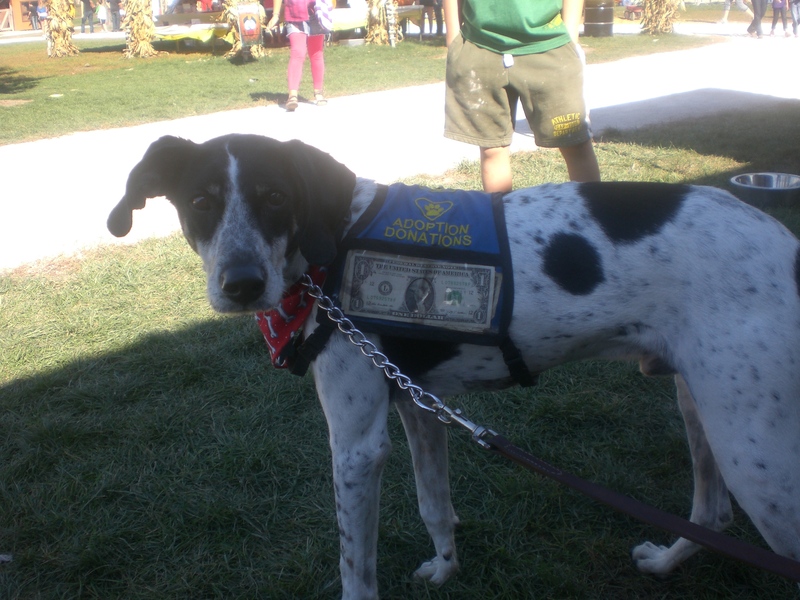 He and Eddie were both proudly sporting donation vests, where people could put money to help the shelter, and Howser’s vest was pretty full when I saw him. He is a very good walker on a leash and is looking for a caring home with people who will love him and his sweet personality. 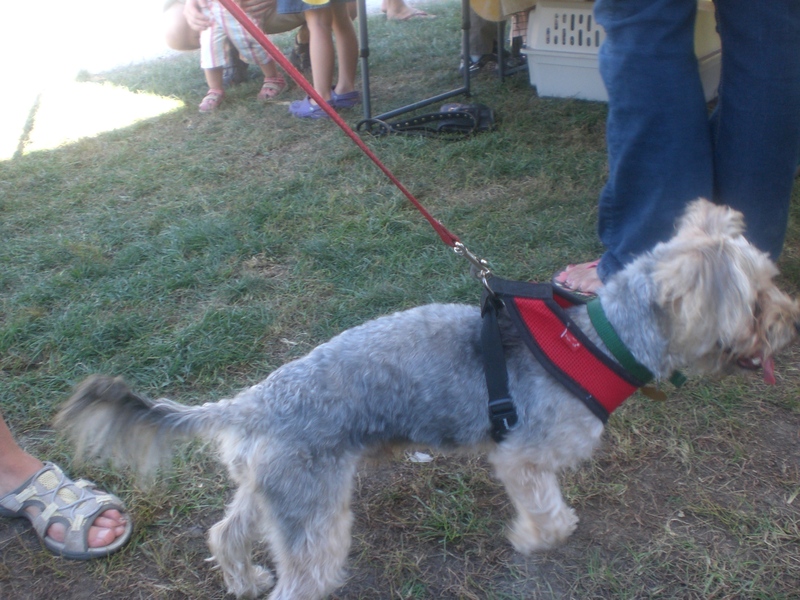 The smallest, most rambunctious dog at the event was Pickles, a three-year-old Yorkie mix. Pickles wanted to say hello to anyone and everyone, including his doggy friends from the shelter, and is certainly not shy. When I got down to his level, he jumped right into my lap in an attempt to lick my face. His fur is extra soft and he has an adorable little face. Pickles is relatively new to Orphans of the Storm® and hopes to find a permanent cuddle buddy soon. 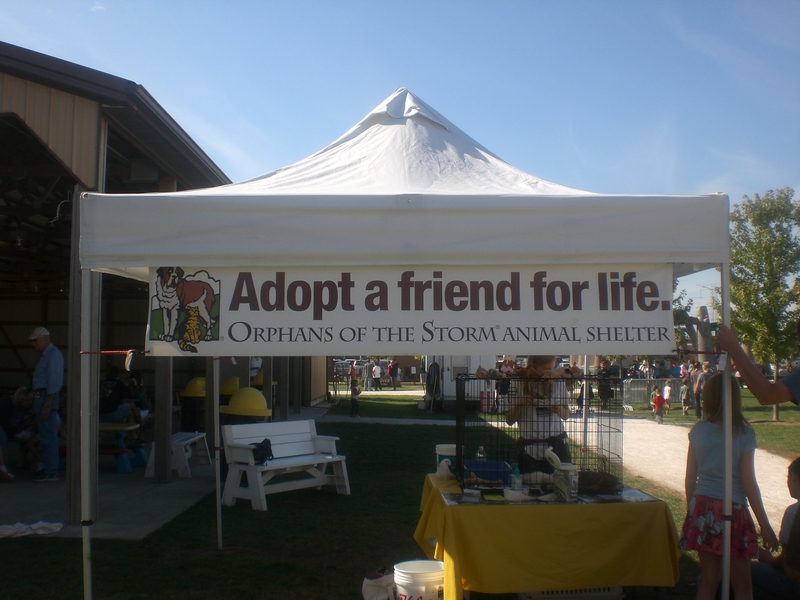 To meet these dogs, and the rest of the great dogs available for adoption, please visit Orphans of the Storm® any day of the week! 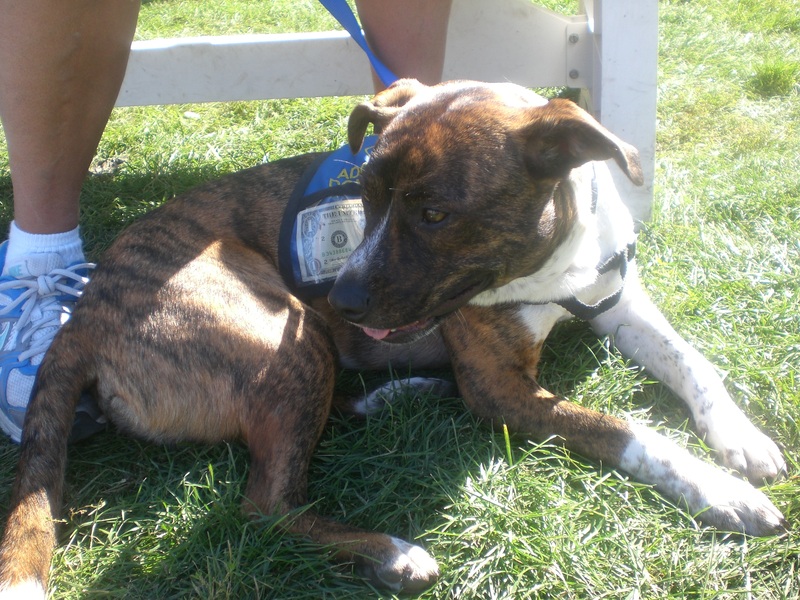 Posted by Meet the Pooches on October 12, 2011 in Dog Profiles, Events and tagged adoption, Beagle, Buffalo Grove, Chicago, dogs, Mountain Cur, Orphans of the Storm, pets, Pointer, Shepherd, Yorkie.